Every year advocates mount a worldwide campaign to raise awareness about Lymphedema. Representatives from; India, Europe, South America, United States, Canada, and Australia join together on March 6th to recognise World Lymphedema Day. Great attention is paid to the battle against cancer. Yet, most people haven’t heard of lymphedema, which cancer frequently leaves in its wake. We hear little of the children born with lymphatic malformations or those who inherit lymphedema. There is silence on the issue of wounded war veterans, civilian casualties and others who suffer from lymphedema due to physical trauma or as a result of surgery. Too many who suffer feel alone. Too many medical professionals remain uneducated about this chronic disease or underplay the devastating impact it has on a person’s quality of life. Too many go without the necessary therapeutic care. Further this tragedy is compounded when government and private health insurers deny patients coverage for even the universally accepted treatments that this disease demands. The message from lymphedema and lymphatic disease advocates is clear. “Lymphedema and lymphatic diseases are ready to take their place as international priorities.” The days of being invisible are over. 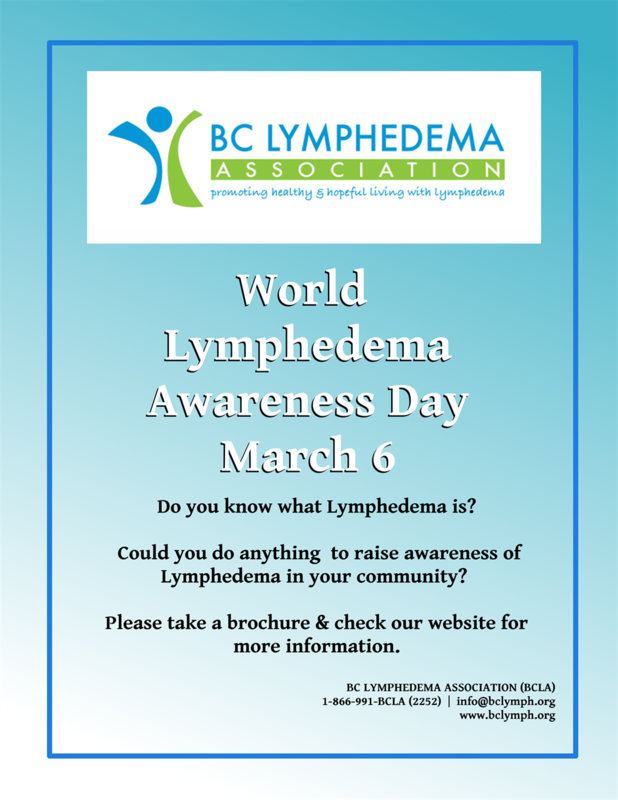 Every year we acknowledge World Lymphedema Day to be celebrated on March 6th. We invite patients, their family and friends, advocates, politicians and treatment practitioners from every country to make their voices heard by promoting Awareness about Lymphedema.